This is a rendition of a favorite recipe I learned in pastry arts school. Obviously, made adapted to be gluten free and sweetened with honey. Very simple and easy to make, but for whatever reason tarts look so impressive?? It’s just a pan, and I think everyone needs one! The chocolate glaze on top is completely optional and can either be drizzled or completely poured over as a top layer. For the drizzle, only make a half recipe of the chocolate glaze. This recipe is completely SCD compliant without the chocolate glaze. 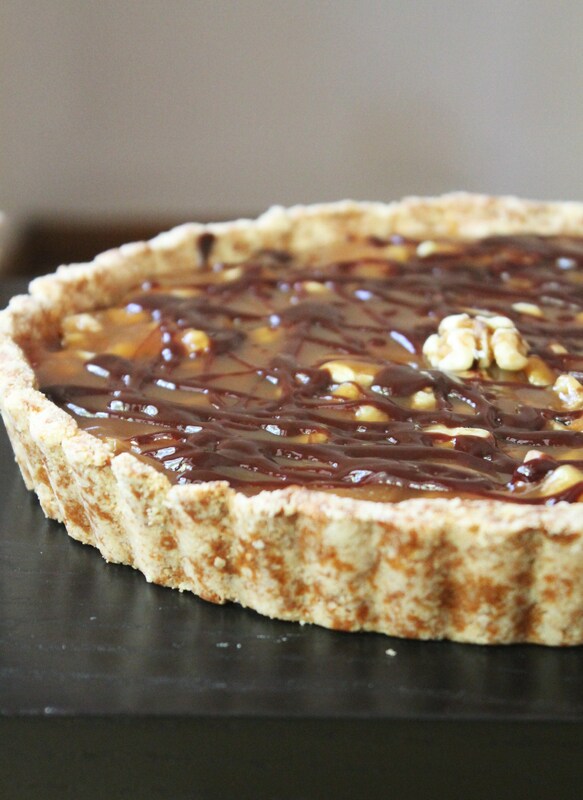 Fill pre baked tart shell with walnuts. Prepare caramel and pour over walnuts. Prepare chocolate glaze: gently melt together honey, butter and cocoa. Pour over cooled tart. 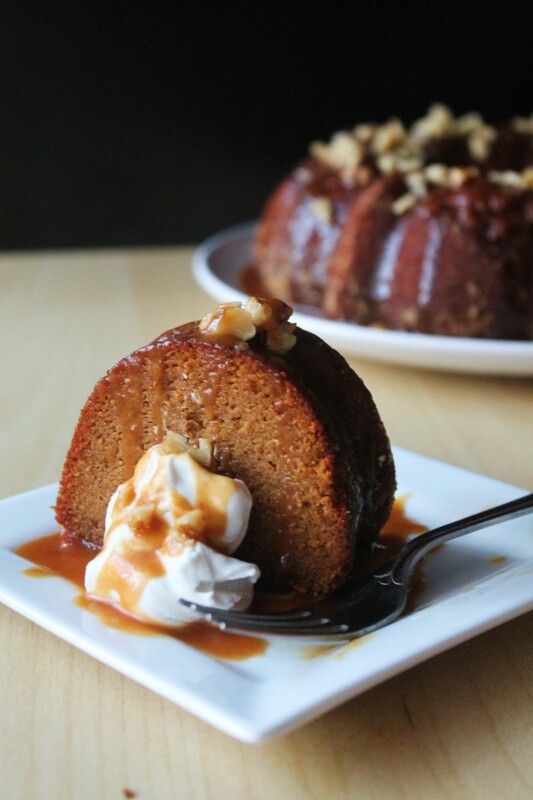 Let caramel set completely before serving. 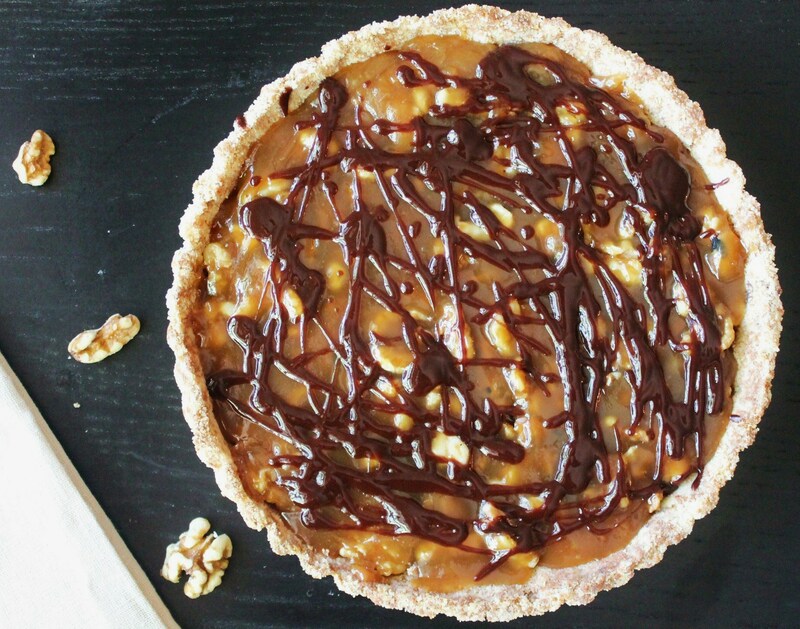 Everyone always brings a Classic Pumpkin Pie or Pecan Pie, so this will be a nice surprise. 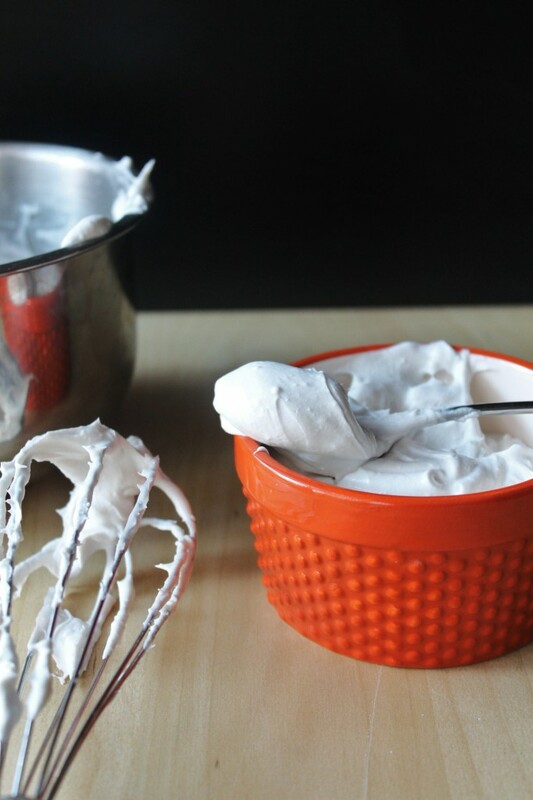 I like to make freshly whipped cream or coconut whipped cream to serve on top. Or if you just aren’t into making pies or tarts, try out my Gluten Free Gooey Pumpkin Pie Cake, which always gets rave reviews with my family! Hope you all have a wonderful Thanksgiving! I have so much to be grateful for and can’t wait to spend the day with family. Hey Michelle, This looks great and easy! 2 key things for me! Hahaha :) How far ahead do you think this can be made in advance?